In a breathtaking moment, the North Korean leader Kim Jong-Un crosses into South Korea to meet with his Southern counterpart President Moon Jae-in. 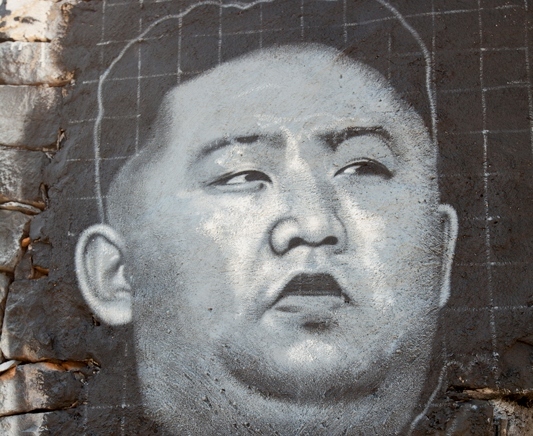 Kim Jong-Un becomes the first North Korean leader to visit the south since the Korean war. The two leader have shaken hands at the De-Militarized Zone in a historic moment right before heading to start a mutual talk. The Inter Korean Summit will mainly focus on the North’s nuclear programme. The historic meeting will pave the way for Kim Jong Un to set with US president Trump in May or June. The ultimate goal for all the Koreans, from this unprecedented step into peace, is the reunification. I hope you will really enjoy the noodles that we brought. This visit is a commemoration of an effort started when Kim Yo-jong, Kim Jong’s sister, spearheaded the North delegation that took part in the Winter Olympics in South Korea earlier this year.